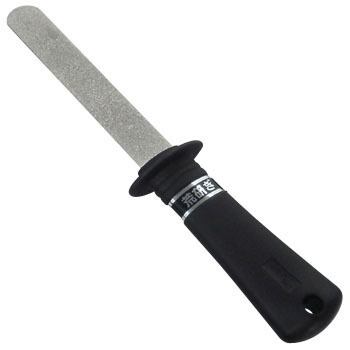 It is easy to handle just for sharpening the flat knife, it is very easy to handle, the rough sharpening surface and the finished surface are in reverse side and convenient It is easy to buy the price cheaply. This review is about item#34736667. Kitchen knife, first-hand clothes etc. Easy, very convenient to use. I am using it for deburring after aluminum processing. After scraping with a milling cutter or cutting with a chip saw, taking a bit of burrs is too ordinary to scrape off or to rattle, so it is useful because it is a reasonable scraping condition. There was a protrusion of about 1.0 mm x 0.5 mm on the finished surface, so it is easy to use the full score if it does not have a deduction 2. When we polished the disc cutter of φ120, we could use about 10 sheets.